China’s 2-EH market still presented an obvious uptrend in 2018, with the 2-EH prices climbing up to a new level. Taking the East China market as an example, the 2-EH prices once nearly reached RMB 10,000/mt, hitting the highest since the end of 2014. With a large number of newly added units put into operation in the downstream industries, the oversupply was eased effectively in the 2-EH industry, and the industrial operating rate also rose to a new high. In 2018, the newly added 2-EH capacity was limited. Moreover, some 2-EH units were switched to produce NBA due to higher NBA profits, which also supported the 2-EH market prices. In 2018, the 2-EH market was greatly influenced by multiple factors, including the intensive unit overhauls, delayed commissioning of new units, fluctuations in exchange rate, China-U.S. trade war and geopolitical crisis, etc. In addition, the new industrial features and changes, such as the stronger interference effect from capital and frequent price fluctuations, also exerted different extents of influences on the development of the 2-EH industry. Specifically, the 2-EH market was notably affected by the macro-environment and market fundamentals in 2018. At most of the time, the 2-EH prices fluctuated with the variations in market inventory and supply-demand balance. In terms of macro-environment, will the China-U.S. trade war become fiercer? Will the geopolitical crisis intensify? Will the RMB continue depreciating? In terms of market fundamentals, will the feedstock propylene prices return to the former price level after the surge in H2, 2018? Will the 2-EH prices continue to move up? Will the demand from the plastic products industry keep improving? SCI 2018-2019 China 2-EH Market Annual Report will help you find the answers to these questions. 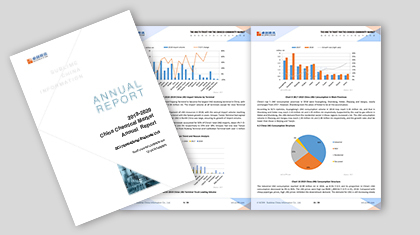 Based on comprehensive and detailed data, SCI 2018-2019 China 2-EH Market Annual Report makes a deep analysis on the 2-EH market as well as its upstream and downstream industries. The report not only makes a review of the 2-EH market in the past but also gives an outlook of the market in the next five years so as to provide reliable references for the customers to judge the market.